Klein's Quartic is a symmetrical surface discovered by Felix Klein, consisting of 24 heptagons. 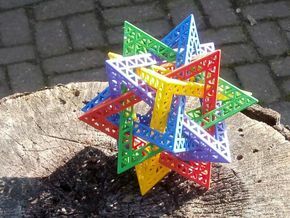 It is like the 5 platonic solids (tetrahedron, cube, octahedron, icosahedron and dodecahedron), but it cannot be made in 3 dimensional space. Instead, we can create a surface with heptagons that still has all angles correct (a "conformal" image), but deforms the lengths. The surface is also cut open so that it becomes a "fundamental polygon". 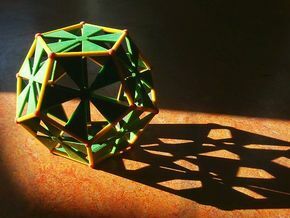 The edges of this polygon could be glued to other edges, to make Klein's Quartic. 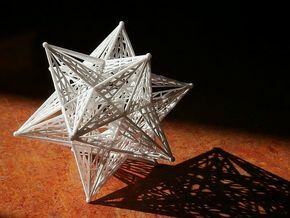 Klein's Quartic is important in mathematics, and is also very beautiful. 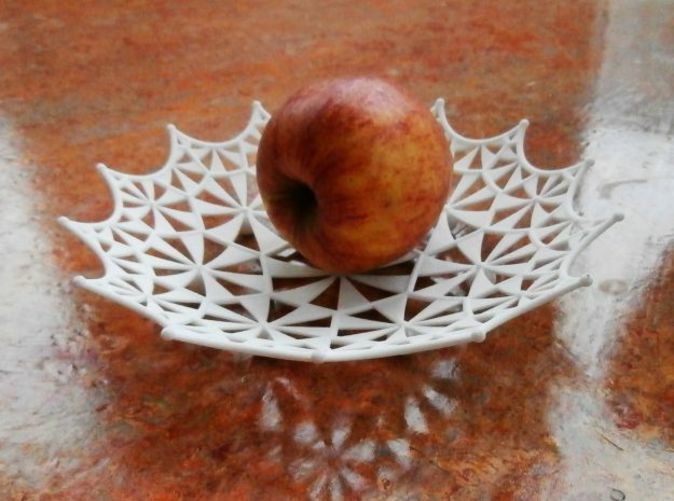 It happens to be a suitable shape for a fruit bowl. 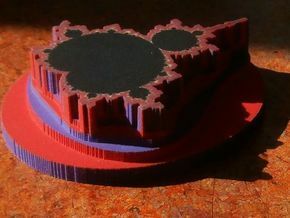 I could not resist 3D printing it!